To pay homage to their European homeland, Orange City residents began to imagine a celebration to honor the traditions and customs of their Dutch ancestors. The Hollander’s innate tendency toward cleanliness and beauty combined with a historical background of flower culture was the inspiration for the Tulip Festival. According to an account in the Orange City Journal of May 4, 1933, the first annual Tulip Show was sponsored by the joint efforts of the Lion’s Club, Lawn and Garden Club and the Women’s Club. Encouraged by the interest in the first Tulip Show, the event grew larger in 1934. In addition to the large number of tulip plantings already in existence, in 1935 some 50,000 more bulbs were imported and planted by the townspeople. The tulips, in combination with the organized planning, laid the groundwork for the beginning of Tulip Festival in 1936. Originally a one-day festival, it is recorded that 3500 people were in attendance. The innovation for the 1937 Festival was the election of the first Tulip Festival Queen, Elizabeth Top Swets. A coronation ceremony was introduced into the program with the “Burgemeester” as the honored dignitary. That same year a costume contest had enthusiastic participation and many authentic and interesting costumes were on parade. Because of the public’s interest, 1938 marked the first year of a two-day festival and the addition of evening entertainment. 1941 marks the addition of the night parade and ethnic folk dancers from the surrounding areas participating in the festivities. The war years of 1942-1946 saw a halt to the festivities and were replaced by Victory Days. In the fall of 1946, with peace on the horizon, 50,000 new tulip bulbs were imported from Holland and planted in anticipation of the 1947 Festival. In honor of all Veterans, one day of the 1947 Festival was dedicated to our troops. The float sponsored by the local American Legion was a living replica of the famous photograph of the raising of the flag at Iwo Jima. With swelling crowds, a third day was added in 1950 to accommodate the over 15,000 visitors. In addition to many other innovations that year, His Excellency E.N. Van Kleffens, Netherlands’ Ambassador to the United States crownded the Tulip Queen. As the years passed, the Festival grew yet maintained the three day format. Each day was filled was two-daily parades, Dutch folk dancing, a musical night show, and of course the Tulip Queen and Court. Althought the general program has followed a definite pattern, those who serve on the many committees are particularly aware of the myraids of changes, additions, and refinements appearing each year. These unnoticed develpments produce the “overtones” which keeps this annual festival ever new. 1933 The first Tulip Show, a flower contest, is sponsored by local clubs. 1934 Encouraged by the interest of the first Tulip Show, the show continues for another year and grows in size. 1935 The Orange City community organizes the first special planting of tulips. 1936 The first Tulip Festival is held and is referred to as the May Festival. Estimated attendance was 3,500 people. 1937 A Queen and Royal Court are selected for the festival. 1938 A second day is added to the festival. 1941 An evening parade is added. Estimated attendance for the two day festival reaches 15,000 people. 1942-1946 WWII is being waged. The festival is cancelled and replaced with Victory Days and other appropriate observations. 1946 With peace on the horizon, 50,000 new tulip bulbs are imported from Holland. 1947 Tulip Festival resumes post war. One day is dedicated to veterans. 1950 A third day is added to the festival, and the Dutch street organ is acquired.  1990 Tulip Festival celebrates its 50th year. 2015 Tulip Festival celebrates its 75th year. 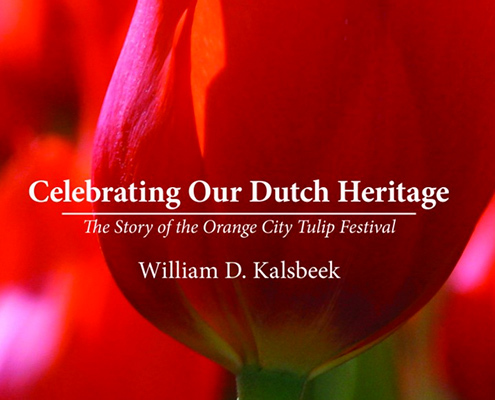 Celebrating Our Dutch Heritage – The Story of the Orange City Tulip Festival.